After the death of a loved one, you are likely to be researching many funeral homes. Choose Fremont Memorial Chapel. Fremont Memorial Chapel is a family-run business based in Fremont, minutes from Newark CA. The Rose family independently operates the Chapel and offers a wide variety of funeral service options to fit your needs, wishes and desires. We are happy to accommodate you in any way we can to celebrate the life of your loved one. We provide complete funeral services. We wish to provide you all the information needed for those of you who want to proceed with their own funeral arrangements. However, we are also willing to help those of you who have experienced the grief of losing a beloved one and need specialized help and guidance. We are going to do everything that is in our power to support you in this difficult time of life. We are happy and thankful for the privilege to ease the pain of grieving families. We offer caring, compassionate and dignified funeral home services for all denominations. Fremont Memorial Chapel include compassion, professionalism and caring. Our funeral directors give personal attention to each detail. We pride ourselves on being meticulous and detail-oriented from the moment of first contact with the family. At Fremont Memorial Chapel, we strive to treat each family as our own family. We have the freedom to work with each family to plan the style of service that will celebrate life and promote healing. We can help you create a unique, meaningful ceremony to express the genuine individuality of your loved one. Entrusting us with helping your family is not taken lightly and we consider it a privilege and honor. Unless the departed has left explicit instructions, you may be faced with choosing between traditional burial or cremation. If you have chosen burial, the selection of the casket, vault, and desired cemetery follows. In some communities, there's the option for a 'green burial.' If that's what your loved one would prefer, we'll help you select an environmentally-friendly choice . 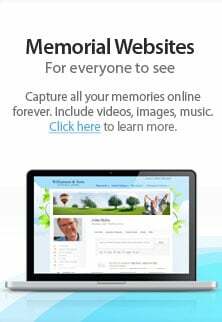 We hope our website will serve as a useful resource for pre-planning your own funeral arrangements or if you have experienced the recent loss of a loved one and need to make immediate funeral arrangements. If you are unable to find what you need within the pages of our website, feel free to reach out to any of our funeral directors to assist you. Fremont Memorial Chapel will accommodate you in any way we can to honor and celebrate the life of the departed. The wonderful funeral directors at Fremont Memorial Chapel can help you plan an honor guard service for a departed Veteran. We believe those who served our nation are deserving of special attention, and we will take care of details in securing the benefits your Veteran is entitled to receive.